I like to make panoramas for the fun and surprise of seeing the image form. I prefer to not crop the photos. I feel that the seeing the boundaries of the original photos gives the viewer a sense of the history of the various photos used to create the panorama. Click on the thumbnail to see the full image, but be patient. The photos are large. 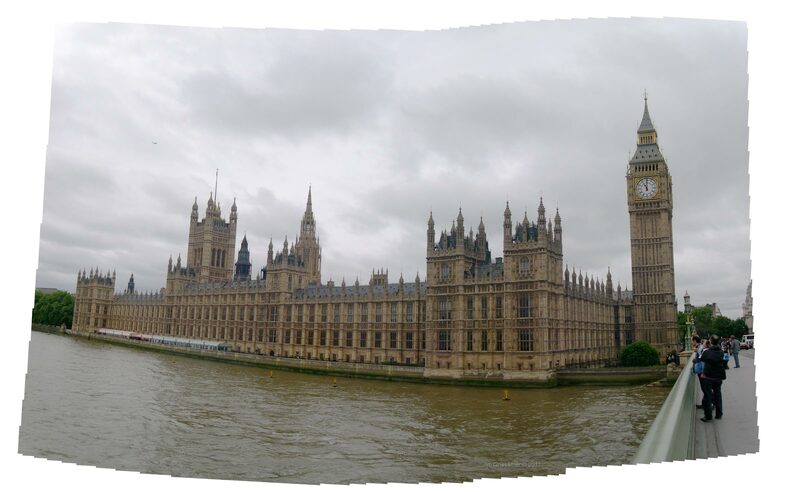 Parliament is quite the grand building. It's difficult to get a photo that shows all of it without taking the shot from a distance. 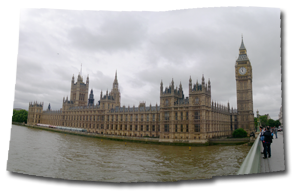 Instead, I did a panorama. It's not one tower, but many. The history of this building is quite astounding. If look in the center, you can make out three of the four spires of the White Tower, a building used in many films portraying British History. © copyright 2014 Jim Griesemer. All rights reserved.